What I have written here may not please some people, but I feel bound to give it in the interests of truth. I do not doubt Fr Foy’s powers of intercession or that the merciful God forgave him his sins or excesses, but it seems to me that a good deal of the present devotion to him is without solid foundation. God often answers people’s prayers even though they may not ‘ask right’ and do so in good faith. On December 12, 1987, when Bishop Thomas McDonnell was being laid to rest in a grave in the Priests’ Plot cemetery, inside the gate of St Muredach’s Cathedral in Ballina, a man pushed his way through the crowd. When the prayers at the graveside were concluded, he looked around him and asked loudly of no one on particular where he might find ‘Fr Foy’s grave’. Surrounded by dignitaries of church and state, his clear focus was on the grave of a priest who was dead for almost seventy years and who had been suspended for the last twenty years of his life. The anonymous pilgrim, who had travelled from Northern Ireland, was one of thousands of devotees of Fr Joseph Foy, who were and still are convinced that even his grave had miraculous powers to heal their physical and mental ailments. While the graves of three bishops and seventeen priests buried in the tiny cemetery are periodically visited by relatives and friends, the grave of Joseph Foy attracts a steady flow of visitors every day of the year and is constantly covered with flowers, votive lights and an assortment of odd items, some para-liturgical, others personal and others again impossible to classify. Joseph Foy was born3 on the banks of the Moy in Belass,4 Foxford, in 1841, a few years before the Great Famine, and was baptised in Knockmore Church on April 24, 1841. His home, opposite the famous Foxford Woollen Mills, was buried under silt removed from the river during the Moy Drainage Scheme in 19? ?, though the home of his nephews, James5 and Joe, now in a dilapidated condition, is still to be seen adjacent to the mound of earth covering the home of Joseph Foy. In the event James who went on to Maynooth died before ordination.8 His younger brother, Joseph, also reached the qualification standards for Maynooth and matriculated on August 26, 18659 and was ordained in Maynooth on Pentecost Day, May 30,1871. There is little information about Foy’s early years as a priest but it seems that from early on he had difficulty controlling his consumption of alcoholic drink. His addiction coupled with the hospitality of the people in the Erris parishes in which he worked led, it seems, to an early suspension and he was ‘off the mission’ from 1876-83. However, he was reinstated in 1883, when he was appointed curate in Kilcommon and he must have coped reasonably well up to 1887 when he was promoted to parish priest. However three years later he was suspended again and remained suspended for the rest of his life. Priests were regularly suspended at the time, usually though not always for addiction to alcoholism. A suspension meant that faculties or permission to exercise the priestly ministry – saying Mass, hearing Confession, officiating at weddings, etc – were revoked by the bishop. It was usual for priests at that time to be heavy drinkers of whiskey or punch and when some lost control of their drinking, they were suspended as a way of encouraging them to take responsibility for the problem. As there was no understanding of alcoholism as a disease at the time, the reasoning was that a priest should be able to control his drinking if he wished to do so. If the priest didn’t deal with the problem he was eventually put off the mission permanently and prohibited from the exercise of his priestly ministry, what was called suspensio a divinis,10 though he was allowed to say Mass privately. Sometimes suspensions were lifted but some priests, who seemed incapable of achieving sobriety ended up being suspended for life. Suspension, even permanent or life-long suspension, was quite different from what is called, in common parlance, ‘defrocking’ which is a form of permanent suspension, but means a permanent ‘reduction to the lay state’ so that the individual is not allowed to exercise any priestly function. For example he is not allowed to say Mass, even in private. Though some commentators11 have suggested that Joseph Foy was defrocked, this was not the case. His final suspension in 1890, was connected with a row between Foy and a number of men in Aughoose. While there is no clear evidence to connect the row with the suspension, the coincidence of the suspension and the court case that followed the row would strongly suggest a connection. The row, because of the violent nature of the assault and the publicity of the later trial, though probably just one of a series of difficulties he encountered because of his addiction to drink, was regarded as the last straw. For his bishop, Hugh Conway, it must have seemed that there was no alternative to removing Foy from ministry. Immediately on getting in, the house was attacked with stones in several places and a fusillade of stones was carried on for about four minutes against the house and from half an hour to an hour unhesitatingly. They smashed two windows in the house completely, glass, timber and all. The bedroom door was broken and the hall door badly injured. The fan-light was smashed. The injury done to my house and things in it on that occasion was between ten and fifteen pounds. Justice J. McWilliams fixed recognizances at £40 for each of the men who assaulted Foy, a significant sum that underlined the gravity of the offence. The four men were returned for trial to the Castlebar Criminal Sessions. Evidence was given, on Foy’s behalf, by two men who witnessed the row and two of Foy’s servant girls who were present. The verdict of the jury was that the four men ‘unlawfully did make an assault in and upon one Reverend Joseph Foy and did then unlawfully beat, wound and illtreat the said Reverend Joseph Foy and then unlawfully did other wrongs to the said Reverend Joseph Foy against the form of statute in such case made and provided and against the peace of our said Lady the Queen, her Crown and Dignity’. Inevitably with Foy’s later popularity and the aura of holiness created around his persona it was in the interest of his adherents to modify whatever brought about his suspension. Whatever the true story, Foy was suspended by Bishop Hugh Conway and that suspension was continued by Bishop John Conmy. From 1890 to 1914 Foy lived with his sister in retirement in Foxford. It was during this time that stories about his supposedly miraculous powers began to spread. Many unusual and sometimes bizarre escapades and powers are attributed to him. While he was in Foxford people from the Ballina area often went by rail to Foxford to ask him to intercede for them. Even today his grave is regularly prayed at by locals and visitors in search of help. Notices in thanksgiving for his intercession regularly appear in local papers. After his suspension in 1890, as he was forbidden public celebration of Mass, he was said to carry around with him an old wooden tabernacle in which he kept the sacred vessels. The tabernacle came to be associated with cures with people putting their hands into it to cure particular ailments. As Foy was without an income from 1890 to 1900, while he received a pension from the Killala Clerical and Infirm Fund of £50 a year, he depended on the charity of others. As word of his ‘powers’ spread and as people sought to get in touch with him, his fellow priests, rightly suspicious of the stories associated with him, resented his growing popularity and envied the attention and, no doubt, the contributions he was receiving. Priests and people too were unhappy with Foy’s facility for cursing people and their families, a practice which, though it has no substance in reality, unnerved people as the ‘curse of a priest’ had a lively history in Irish mythology. For such reasons priests warned people not to have anything to do with Foy and occasionally he was ‘condemned from the altar’ and his activities dismissed. On one occasion he was ‘read from the altar’ in Belmullet and tradition has it that after Mass the people crossed to the other side of the street to avoid meeting him. Not everyone was impressed by Foy’s miraculous powers and the stories associated with them. However the more the clergy criticised him and encouraged their people to give him a wide berth the more the people took to him. This may not seem as contradictory as it first seems. In recent years much scholarly attention has been given to the myths of popular religion, through stringent historical analysis, and as a result ‘miraculous’ events have tended to be divested of their substance. The approach of academics in this area is to place the folk heroes and the ‘miraculous’ events associated with them in the context of time and place by examining the cultural, economic and socio-political background to the events. This approach has been taken by Eugene Hynes, a Galwayman now Associate Professor of Sociology at Kettering University, Michigan, to the apparition at Knock in Knock: The Virgin’s Apparition in Nineteenth-Century Ireland. Hynes paints in the social and cultural background to the apparition: the economic depression and the imminent threat of famine; the decline of seasonal emigration in England; the disruption of the Land War; the conflict between priests and people triggered by land agitation; the challenge to the authority of Knock PP, Fr Bartholomew Cavanagh; the criticism of Archbishop MacHale; and what Hynes calls the ‘problematic authority structures’ of the core group of apparition witnesses and their relationship with the clergy. So, recognising the cogency of Hynes’s approach, how can the stories surrounding Fr Foy be properly understood? What status can be given to the belief, on the one hand, that his blessing brought prosperity and success to a family in Ballina and, on the other, that he cursed a family in Erris? What was the connection in folk memory between Bishop Hugh Conway forbidding him to say Mass in public and the old wooden tabernacle that he carried around with him and that came to be associated with the curing of particular ailments? In simple terms, if a priest became in any sense a persona non grata to church authorities, those who resisted the Church’s control, rather than directly confronting that control, created an ethos of support for the individual priest as a round-about way of confronting the Church. In that atmosphere it suited that the virtues and powers of the suspended priest would be exaggerated in order to cast the Church in a bad light. Foy is a good example of the Irish tradition of believing that priests who, through their frailties give ample evidence of their humanity, have special powers of intercession. And this too was responsible for many of the stories that developed around Foy.19The tradition that if a priest was suspended because of his addiction to drink that his powers were amplified is part of the Foy phenomenon. From 1914 Foy’s health began to deteriorate significantly. 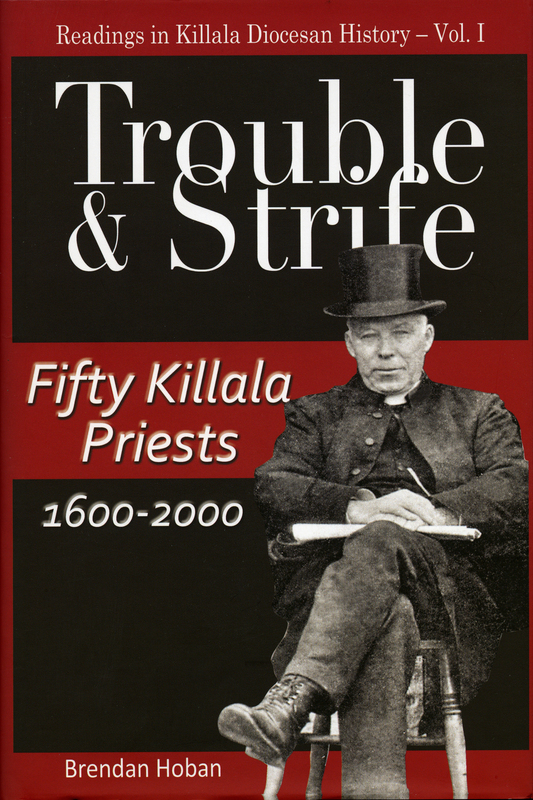 On July 30, he was accompanied to Dublin by Fr William Greaney, then a curate in Ballina, and entered the St John of God treatment facility in Stillorgan, Dublin.22 It was a final effort on his part and on the part of Killala diocese for Foy to come to terms with his addiction. There is no record of how successful or otherwise was the treatment in Dublin but Foy would remain in the addiction facility for the remaining four years of his life. He died in Stillorgan on September 1, 1918.23 His body was taken by train to Ballina on September 3, and removed to the cathedral for his funeral Mass the following day, with Bishop James Naughton presiding. The burial took place ‘at the Abbey cemetery in the presence of a big throng of people representative of all classes’ in Ballina.24 A simple iron cross on his grave was replaced some years ago with a new headstone erected by Mary Durcan. Some extraordinary stories are told about him; both his blessing and his curse are said to have had singular effects. It seems to me that his mental balance was sometimes affected and that drink was not good for him. This led to his suspension in the long run and some, at least, of the stories concerning him are based on the mistaken belief, then current, that his full powers were only released by the suspension! He is said to have attempted to walk across the ferry at Pullathomas in the belief that what Christ did for St Peter He could also do for him! The effects of his curse upon a family in Kilcommon parish are believed by some to still follow them through three or four generations! His blessing, likewise, is thought to have brought prosperity and success to more than one family in Ballina. While he lived in Foxford people from Killala diocese had such belief in his ‘powerful office’ that they travelled by rail to ask him to ‘do something’ for them! At present his grave is visited regularly by clients who have devotion to him, and notices are published regularly in the Western People. MacHale’s measured assessment of the Fr Foy phenomenon sets in perspective the fragile foundation on which much of the Foy devotion is based and the bizarre rituals that still tend his memory and his grave. It is said that Foy predicted that after his death his grave would be his office. There is no evidence to support this and it may well be that, as often occurs, in retrospect much can be attributed to justify rather than explain what happens. Born, Belass, Foxford, 1841; CC, Easkey, 1872; CC, Kilmore Erris, 1873; CC, Addergoole, 1873-1874; CC, Geesala (Kiltane), 1875-76; CC, Kilcommon, 1883-7; PP, Kilcommon, 1887-90; 1890, suspended; died, 1918. Edward MacHale, The Parishes in the Diocese of Killala, vol. iii, p. 57. He was the son of a laundey worker in Foxford convent. Jim McGuire, My Grave Will Be My Office, The Life of Father Joe Foy, p. 6. Belass, though adjacent to Foxford, is in Backs parish and over the years many priests were ordained from that area for Killala diocese and beyond. James (sometimes known as Sonny), went to Maynooth for some years and studying for the priesthood but left before ordination. Patrick J. Hamell, Maynooth Students and Ordinations Index, 1795-1895, p. 70. It is said that, during the Great Famine, the produce of the river helped to sustain many families in Belass and Foxford. Patrick J. Hamell, Maynooth Students and Ordinations Index, 1795-1895, p. 70. See letter from Cork nun, Jim McGuire, The Light That Never Goes Out, The Life of Father Joe Foy P.P. 1841-1918, p. 59. Patrick J. Hamell, Maynooth Students and Ordinations Index, 1795-1895, p. 70. Ignatius Murphy, The Diocese of Killaloe, 1800-1850 (Dublin, 1992), pp. 274, 277-8. For example in Jim McGuire’s pamphlet, My Grave Will Be My Office, Foy is twice decribed as ‘defrocked.’ p. 6, p. 7. Again in Jim McGuire’s pamphlet, My Grave Will Be My Office, The Life of Father Joe Foy, Foy is twice described as ‘defrocked’. p. 6, p. 7. Again in his later work, The Light That Never Goes Out, The Life of Father Joe Foy, P.P., 1841-1918, he describes Foy in the same way: p. 30, p. 31, passim. The Western People’s support for the Catholic Church – the paper had been founded after a meeting in the sacristy of Ballina Cathedral – may have influenced the decision to minimise publicity surrounding what was, for the diocese of Killala, an embarrassing case. This is contained in Jim McGuire, The Light That Never Goes Out, The Life of Father Joe Foy, P.P., 1841-1918, (Ballina, 2012), pp.77-121. See Jim McGuire, op. cit., pp. 83-7. Eugene Hynes, Knock: The Virgin’s Apparition in Nineteenth-Century Ireland, (Cork, 2008), pp. 172. It was not unusual for myths to form around significant figures in people’s lives. For instance it was widely believed that on the night he was born, a star was seen to hover over the home of John MacHale, later archbishop of Tuam, and such stories served to confer a quasi-divine statius on The Lion of the Fold. Brendan Hoban, Times and Seasons, (Dublin, 2009), p. 176. Devotion to Foy, almost a century after his death, seems strange at first sight but, in terms of modern insights, is eminently predictable. Anthropologist Lawrence Taylor, researching this phenomenon in Donegal in the 1980s, concluded that priests suspended by their bishops for their errant behaviour were thereby released from the bishop’s control and so ‘could direct their powers towards extraordinary cures and other miraculous feats.’ As well as that there is the traditional belief among Irish Catholics that priests who, through their frailties, give ample evidence of their humanity have special powers of intercession and this was, no doubt, also responsible for many of the ‘miraculous’ stories that developed around Foy – and the lively and sometimes idiosyncratic devotion to Fr Foy that has developed. Edmund Lenihan, In Search of Biddy Early, (Dublin, 1987), p. 96. Lawrence Taylor, Occasions of Faith, An Anthology of Irish Catholics, (Dublin, 1995), p. 149. For other examples of strange happenings associated with Joseph Foy see James McGuire, Western People, 20.11.1902, 8.10.2003. Other stories include the following: • Foy was said to have attempted to walk across the ferry at Pullathomas in the belief that what Christ did for St Peter He could also do for him. • A blessing he gave to a Ballina family was said to have brought prosperity and success and the effects of a curse upon a family in Kilcommon parish are believed to still follow them through three or four generations. • A man in Foxford had shingles and Foy rubbed clay on the sores which soon disappeared. • Another story related that in recent times clay from Foy’s grave in Ballina caused a cure to the diminished eyesight of a young boy. • A dead child in Rossport was supposed to have come back to life after Foy kept in prayer beside the boy until his knees bled with the effort. • A publican in Ardnaree was told – when he refused to serve Foy who was short of funds at the time – that his business would collapse, and local tradition has it that Foy’s words turned out to be prophetic. Other examples are contained in these verbatim accounts taken down from a seanchaí: • ‘One day he was walking the road and this young fellow was with him. ‘Would you have a match?” the priest asked. The young fellow began to search his pockets but he found an empty matchbox and was greatly ashamed. ‘Oh, well, never mind’ said the priest. All Fr Foy did was was to put his finger in his pipe and the pipe lit up.’• ‘One day when there were Stations in a house in the village, Fr John Melvin was there as well as Fr Foy. Fr Foy was showing the effects of a night’s drinking. As was usual at Stations there was a big blazing fire on which all the cooking was done for the occasion. It appears Fr Melvin had unvested his vestments by this time and was wearing just his frock-coat. Fr Melvin put his hand into the centre of the fire and pulled out a live coal on his hand. He turned to Fr Foy and said, ‘Fr Foy, you have power, could you do that?’ ‘I would’ replied Fr Foy ‘but when we are under the influence of drink Máire Rua (Our Lady) gives us no credit (respect, honour, something deserved).’ • Fr Foy was staying in the house of Nancy Ní Chorradhubh over in Ros. Nancy had just one daughter and when the priest used to come home at night, he used to be drunk and the little girl showed more interest in the priest than in her own father or mother,. If he were drunk, the little girl was well able to make him a cup of tea. This particular evening, just as Fr Foy approached the house, the little girl took suddenly ill and Fr Foy could hear the crying iunside. He came in. He didn’t have much drink taken. He went up to where the little girl was and asked her would she like to spend some further time on earth. She replied that she would, if it were God’s will. The priest started the reading over her and he continued to read until the perspiration began to drop from his forehead. He continued to read without let up. At last he asked the young girl, ‘Whose girl are you?’ ‘Your girl’ she replied. With that she sat up and everybody in the house was frightened. He told her that she would have to go to America and she went to America. She married in America and had a large family but she said afterwards that Fr Foy had taken her soul out of heaven. His travelling to Dublin involved a series of expenses from the Clerical and Infirm Fund: £6-10s-0d for an ‘overcoat, hat, underclothing etc’ as well as for the train fare and return ticket for Fr Greaney, who accompanied him to Dublin. Ballina Herald, 5.9.1918. On 17.9.1918 the Diocesan Clerical and Infirm Fund paid St John of God’s in Stillorgan £22-13s-0d for ‘funeral expenses and outstanding maintenance as well as £8 to Isaac Becket for his grave. In recent years a new headstone was placed at his grave. Edward MacHale, op. cit., vol. iii, p. 57. The fullest account to date of Fr Joseph Foy’s life is James McGuire, My Grave will be my Office, The Life of Father Joe Foy PP, (Ballina, 2007). Part of the Ballad of Fr Foy broadcast during the MidWest Radio production of The Spirit Within which featured the life of Joseph Foy, 17.6.2007. Courtesy of Liamy McNally and MWR FM.